Isn’t this the most marvelous image. It is in the current issue of Piecework Magazine, p. 46. It is part of an article by Donna Druchunas. Originally it was the cover of the December 1930 issue of Needlecraft magazine. A woman knitting and skating. In turn, the image used here in Donna’s article in Piecework is courtesy of the Longmont Museum, Longmont Colorado. (Important to give all the credits where credits are due) I think is is a charming image and just conjures up all sorts of ideas and memories. 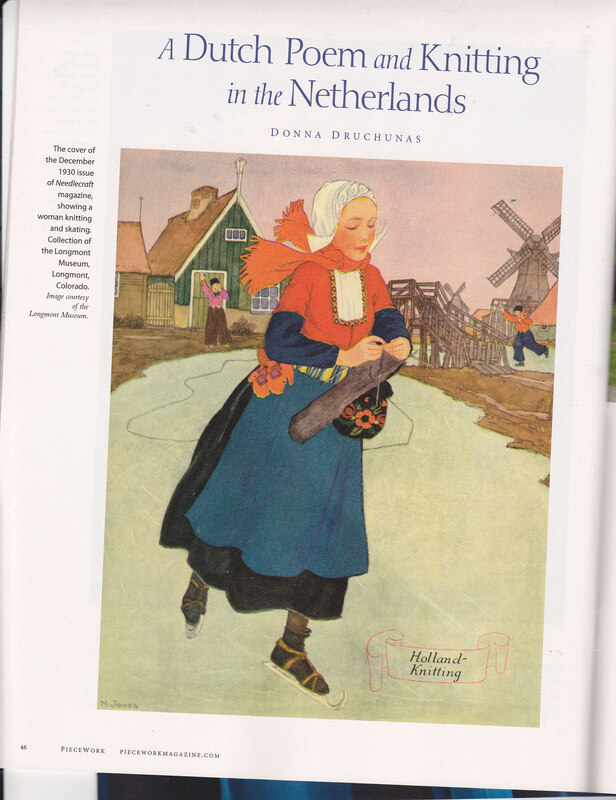 Donna’s article is extremely interesting about historical knitting in the Netherlands. I won’t reveal all the information here but I like Piecework magazine very much and if you like this type of article then Piecework Magazine is the one for you. Lately I have been passing on my collection of weaving and fiber arts magazines but I will hold on to the Piecework issues for a while longer. Also I want to put in a plug here for a workshop to be given by Franklin of The Panopticon blog. Next Friday night he will be at the Weaving Works here in Seattle giving a workshop on historical knitting patterns. 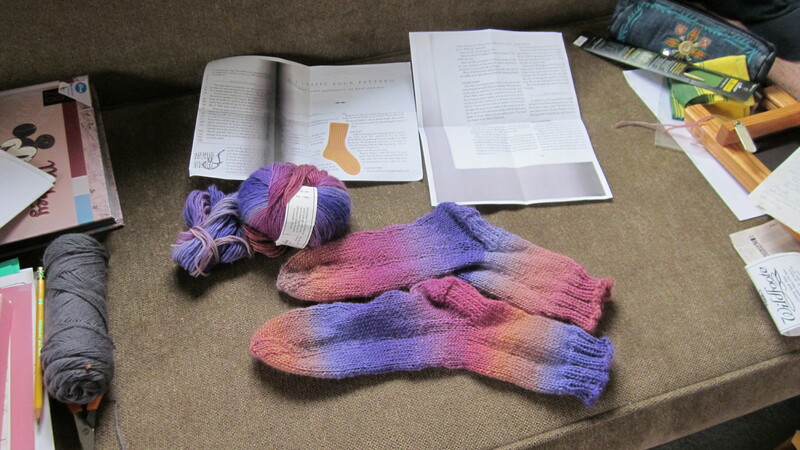 My knitting efforts of late have turn to socks. Nothing historical or super fancy. Just easy to knit with nice yarns. easy to knit and easily portable as a compact knitting project. 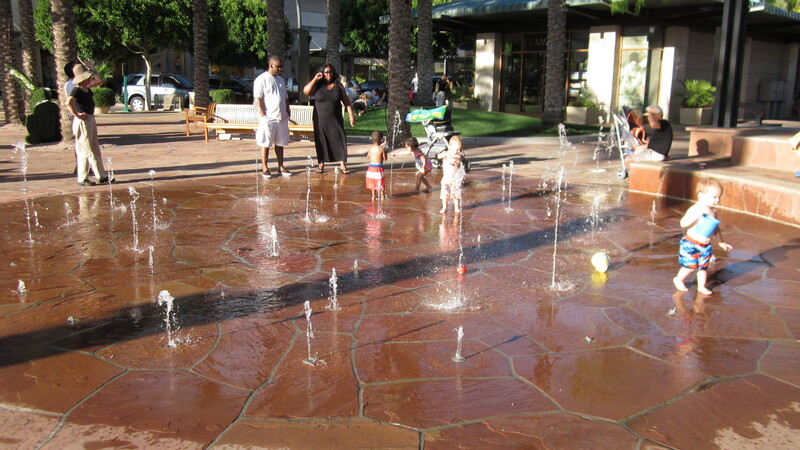 What has been the highlight of our visit so far?…….this was a favourite question posed for family discussion on our recent trip to Scottsdale Arizona. So I’m going to tell just one highlight. A trip to Barnes & Noble! 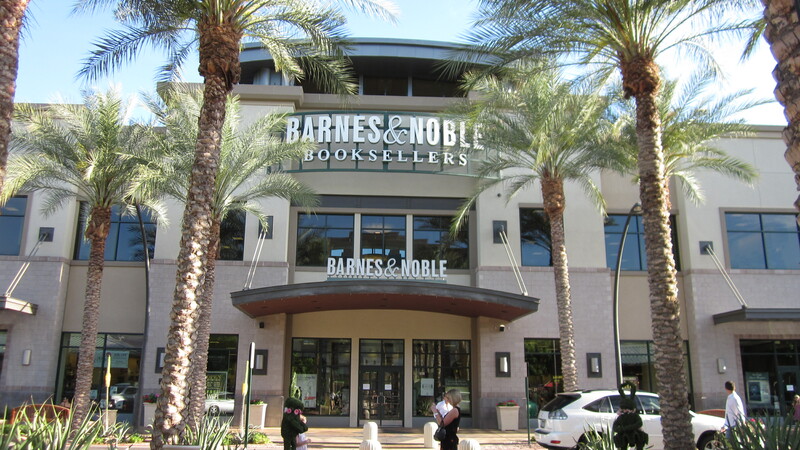 It’s not as if I can’t go to Barnes & Noble here in Seattle, or in Glastonbury Connecticut, or lots of other places. 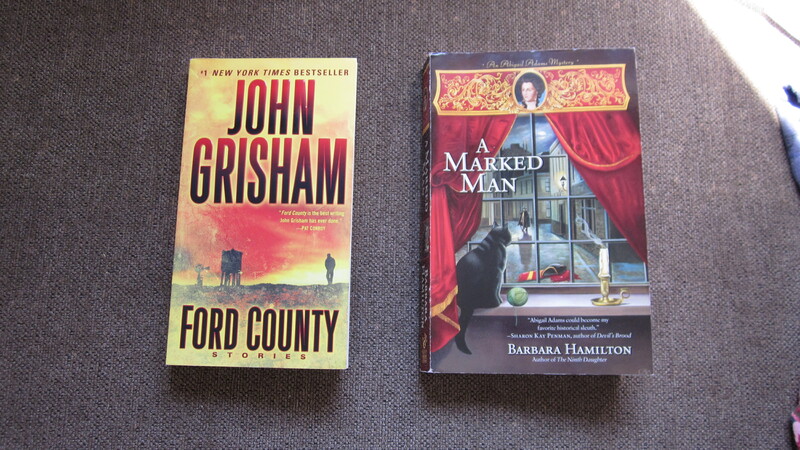 But I needed a book to read at that point in time, having nearly finished the two I had brought with me. And son David needed to find a printed book which he could read and avoid the glare in trying to read the books on his electronic devices. I liked the approach to this B & N – quite impressive – but inside it was pretty much like any other B & N I have been to. I suspect this is deliberate – like Starbucks. Nevermind, I immediately found 2 knitting magazines of interest, my grandaughter found her American Girl magazine, my daughter-in-law spotted an interesting book to order for her Nook, and I eventually found a biography which I am enjoying immensely. 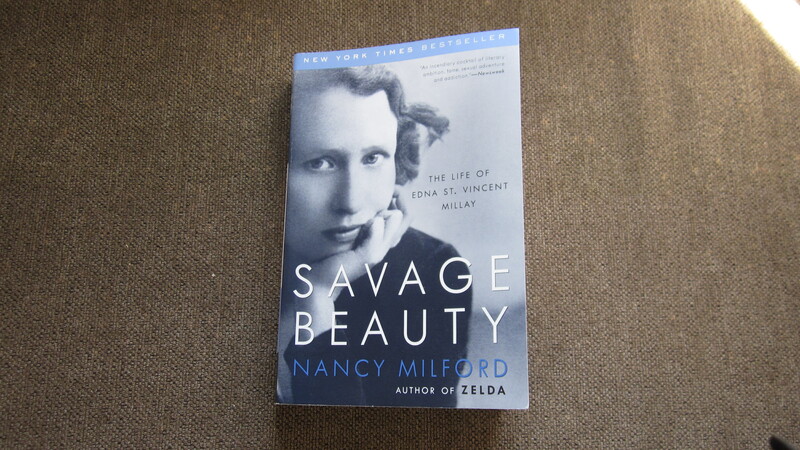 Savage Beauty, The Life of Edna St. Vincent Millay, by Nancy Milford. Edna St. Vincent Millay – a familiar name, I knew she was a poet, and in the dim and distant past we studied her in school. It wasn’t a book I would have deliberately set out to look for – no, I just happened to spot it as I was browsing. Now I am about half way through the book. I hadn’t realized, or remembered, that she grew up in Maine and went to Vassar. And she is very much of the era of my parents and grandparents. I am just savouring the New England setting and the social history which form the background for her life. When one is on vacation and well away from the everyday demands at home, one of the luxuries is to to just sit and read at any hour of the day or night without feeling guilty about the ironing, for example. Now that I am home I just want to carry on reading and with this book I can justify neglecting the chores because it is fuel for my research into the lives of my parents and grandparents – which is probably why I chose it in the first place. Hooray for Barnes & Noble with such a wide range of books to choose from.